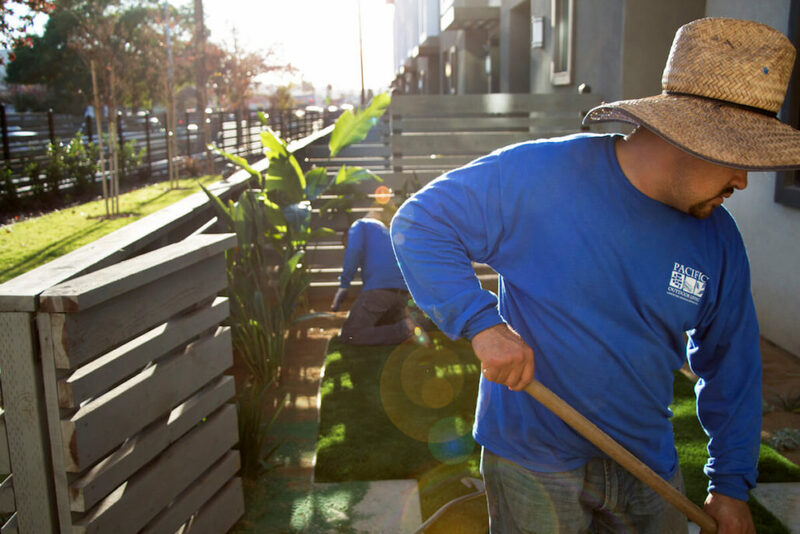 If you’re looking to replace your lawn with artificial turf, the challenge lies not on finding contractors as one search online will direct you to these teams. However, you need to think carefully which custom turf installer to hire. Installing artificial turf has served as a landscaping solution for homeowners looking to save water in their yards. Artificial turf does not require watering or mowing to keep it looking at its best. It can also serve as a friendly play area for the family’s four-legged member. Fake grass offers several benefits, which you’d be able to maximize if your turf installer does the job right. Don’t rush when choosing a custom turf installation company and make sure to talk to them about these three important factors before finally saying yes. This is a common concern among homeowners, sometimes not because of the budget per se, but because there are contractors who overcharge or are not as transparent when discussing the project cost. Various factors can affect the custom turf installation cost such as the turf price, area size, labor costs, taxes and insurance fees, among many others. A cheap price doesn’t always translate to savings. A company that has been installing turf for several years now may charge higher than that which has been around for only a couple of months. A ridiculously-low cost estimate may also mean that the company is not operating legally, opting to skip on fees they’re supposed to take care of. If you want to save money in the long-run, the company you’re working with should be professional – delivering quality customer service and using only high-grade products. Price comparison is a must so do get a free estimate. Contrary to what others imagine, today’s artificial turf does look like real grass. And it does not come in only a single color. It designed with various colors and blade cuts so you can choose which style looks and feels right for you. As you discuss your options with the turf installer, make sure to request for samples of turf styles they’re offering. From there, you can decide better which style to go for depending on the activity you’ll use the turf for. If it is for the kid’s backyard playground for instance, then you need a soft landing surface so little feet would feel comfortable walking or jumping around. Infill is thus required. Do talk to your installer as well about their supplier. It will help give you peace of mind knowing that materials used for the project are of outstanding quality. The product warranty is only as good as your turf installer. Hence, it’s beneficial to make sure that the custom turf installation company has a good standing. As with any other investment, you’d want to make sure that you’re guaranteed a warranty for the installation. Make sure this is clear to you before getting the project started. Warranties has limitations. Find out which damages are covered and which are not. Do look into steps that the company is taking should their installation require repair. Will they be outsourcing people or will they handle the work themselves? Note that in case the damage is not covered by the warranty, you may still get in touch with your installer for recommendations on the most favorable solution. If you’ve heard positive feedback about the custom turf installation company, found that their pricing is only fair with the services and products they’re offering, and that you feel comfortable with their warranty, then these are good signs you’re in the right hands.